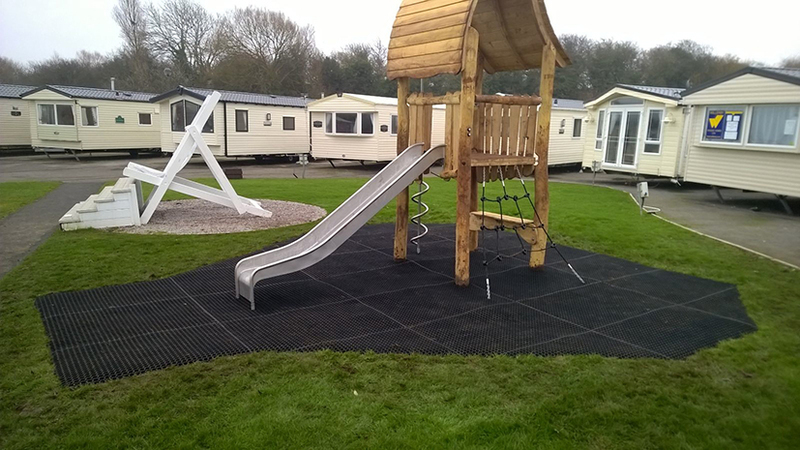 PlaySmart have been installing grass mats for timber kit nationwide for thirteen years to great effect. 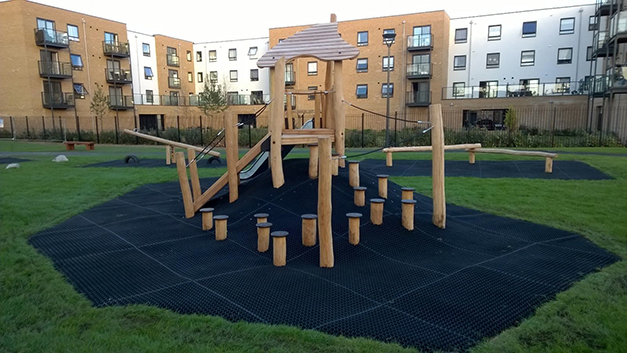 EcoSmart mats were designed to allow grass to grow through them, giving the natural look that is particularly popular alongside timber equipment. However, it is also nice to see how neat a brand new grass mat install looks with wooden kit set into it, as in our featured recent projects. FireSmart was invented to be used on sites where fire related vandalism is a risk or concern. 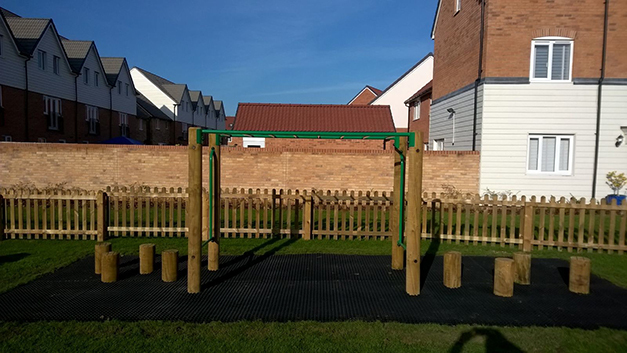 It is an increasingly popular choice when using with fashionable robinia wood play equipment. 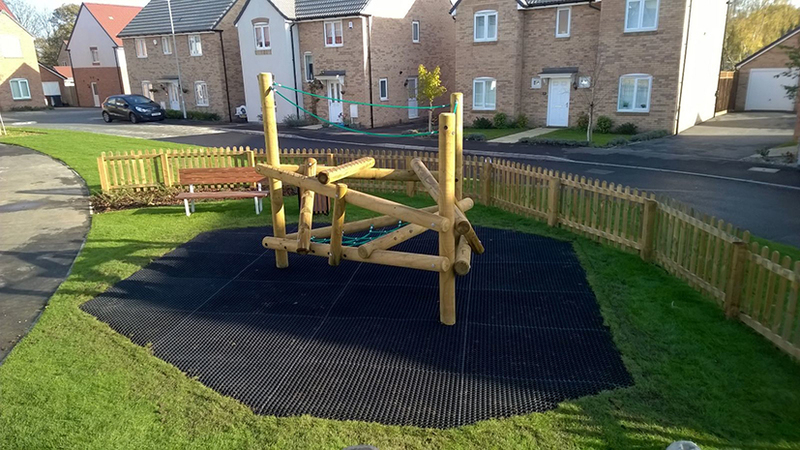 If you’d like advice on using grass mats for timber kit in your area, please feel free to get in touch! You can reach our experienced team directly on 01564 742 811. Alternatively, why not take a look at our free guide to grass mats.